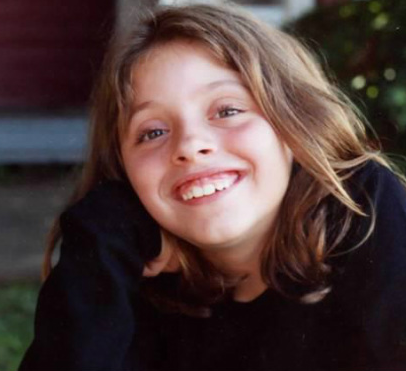 The Cady Tucker Scholarship was established by Cady’s family after Cady, a student at Hope Lutheran School in kindergarten, fourth, and fifth grade, was killed by a driver with uncontrolled blood sugar who caused a head-on collision in Montana on August 15, 2002, just two weeks before Cady would have started sixth grade. Cady’s passions and talents included schieving the highest Accelerated Reader level of any student in any grade at Hope when she was in the fifth grade, she was an excellent artist, and loved track, winning blue ribbons for both the 50 and 100 meter dashes at the Hope and Grace Lutheran track meet in 2002. Cady also was passionate about the importance of being kind, helping, others, and trying to be your best and do your best at all times — and she played classical guitar with beauty and passion. Cady’s family hopes to nurture a spiritual legacy for Cady by encouraging girls who share Cady’s interests to achieve excellence, try their hardest, and therby gain self-confidence. Girls who will be in the fourth, fifth, or sixth grade for the 2014-2015 school year are encouraged to apply. Applications must be submitted to the school by June. The focus of the application is two-fold. The preferred applicant will show (1) a shared interest in Cady’s passions of art, reading and track at Hope; kindness; and musical inclinations; and (2) will outline a traffic safety project to complete during the school year that improves traffic safety and explains its importance for people of all ages. Cady’s foundation (People Against Impaired Driving [PAID]) will provide financial and logistical support, if needed, for the traffic safety activity, which must be completed during the school year. Hope girls who have received the scholarship go as follows: Lydia Oloff, 2015-2016; Phoebe Jones, 2014-2015; Emma Trowbridge, 2012-13; Marie Phelan, 2011-12, Katie Vetter, 2010-11; Jane Hula, 2009-10, Megan Mary, 2008-09, Jo Stetz, 2007-08, Claire Hula, 2006-07; Tana Gazdik, 2005-06, Megan Phelan, 2004-05, and Sarah Chinn also 2004-05. Another way to celebrate Cady Tucker is the Run in the Spirit race. Visit Facebook for up-to-date information. I encourage all of your daughters to apply for the scholarship. I will need you to mail the application to Hope Lutheran School by July 10th. Applications are available from the school office.